In a brainmorphic computing paradigm, a hardware system should process information imitating the anatomical and physiological mechanisms of the brain by naturally using physical and dynamical characteristics of the constituent devices, especially through nonlinear analog circuits and devices. The latest knowledge from brain science, especially, on high-order brain functions emerged from high-dimensional complex neuro-dynamics, are reflected in the design of brainmorphic hardware. In addition, the bodily and environmental constraints are considered and utilized as embodiment in this hardware paradigm. 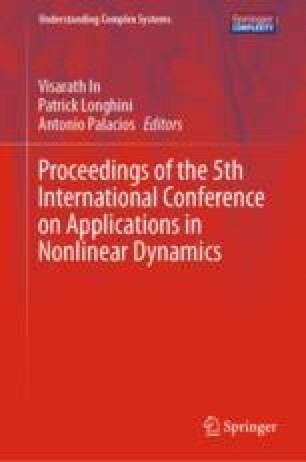 In this paper, we propose a brain/body whole organism computation paradigm where brain-intrinsic efficient and distinct information-processing styles and functions are expected to emerge through high-dimensional complex nonlinear dynamics and the embodiment. In particular, we employ a chaotic neuron in a reservoir neural network to emerge the reference-self in the brain/body whole organism computing framework. Chaotic behavior is usually avoided in the reservoir computing because it will violate the echo state property. However, we deliberately introduce high-dimensional chaotic dynamics through the chaotic neurons, but preserving the echo state property. The high-dimensional chaotic dynamics create a rich variety of neural patterns, and at the same time, integrate information in the neural patterns into a unique dynamical state as a high-dimensional attractor. We show preliminary results for chaotic time-series predictions through the chaotic reservoir neural network to demonstrate feasibility of the chaotic dynamics introduced in the reservoir. This work is supported by JSPS KAKENHI Grant Numbers 16K00340 and 17H0693, and the Cooperative Research Project Program of the Research Institute of Electrical Communication, Tohoku University.